“Gowrance has always been an active and lively child. He is 3-year-old and is very mischievous - one minute we take our eyes off him he is up to something. Now even when he is in the hospital, his spirits have not dampened. Every time the doctors and nurses come in to check on him, he gives them flying kisses. He is always making new friends in the play area of the hospital. I look at his smiling face and pray to God that he gets well soon and comes back home, but I don't know if I can. I used to earn little as a photographer at weddings and birthday parties, but now I am out of job for the past one year. 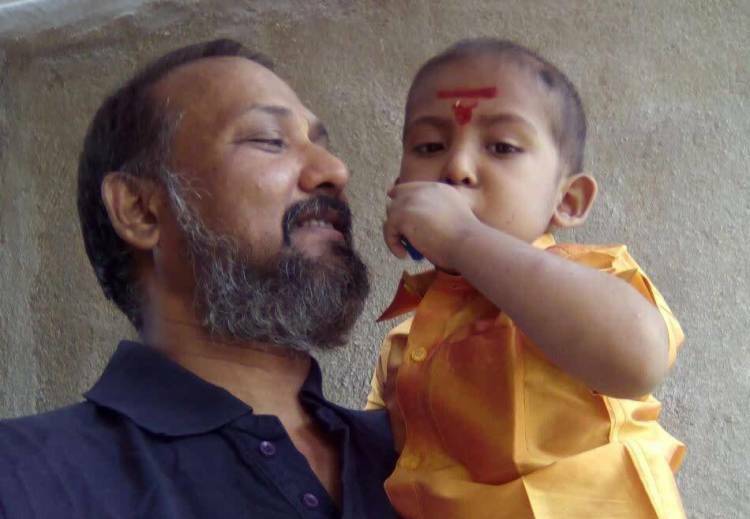 I have lost a child in 2014 due to an accident, there is no way that I will lose another one to cancer.” - Shekhar Soni, father. Last year in the month of December, Gowrance’s family had made a number of plans for the upcoming winter vacation. Everything was fixed when suddenly Gowrance was down with a high fever. Shekhar and his wife, Pratibha, gave him medicines but his fever was not getting any better. It was then that they decided to take him to the hospital. 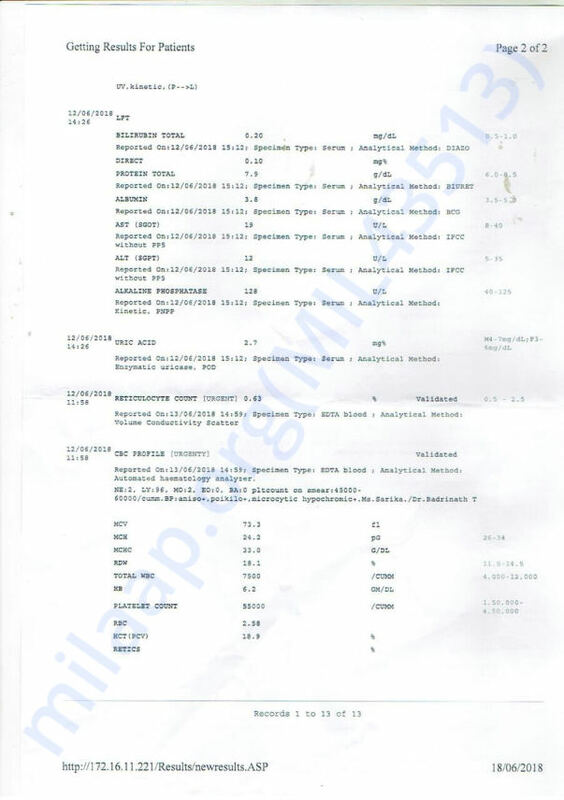 Initial tests revealed that Gowrance had anemia. 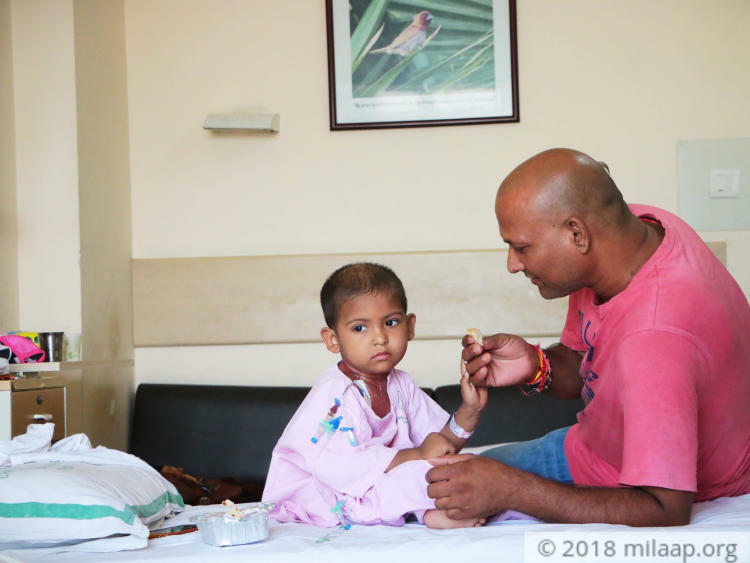 But Pratibha and Shekhar stood numb as the doctor explained their son's medical report to them. Gowrance was diagnosed with Acute Lymphoblastic Leukemia. It is a form of cancer that affects the white blood cells. It occurs in the bone marrow and can quickly spread to the blood. Gowrance has been undergoing chemotherapy since he was diagnosed with cancer. 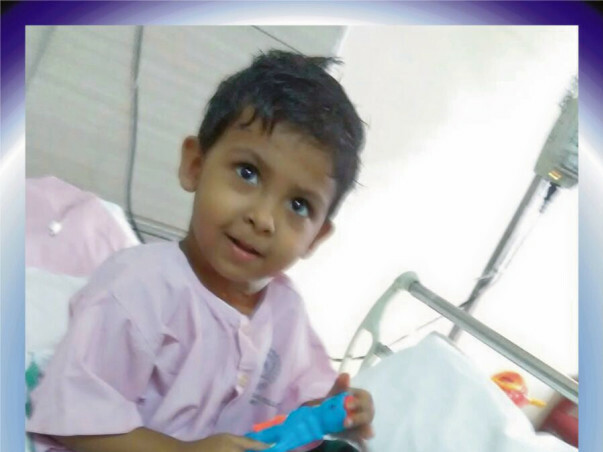 Shekhar had to take up a small rented place in Chennai while his son was admitted in the hospital. 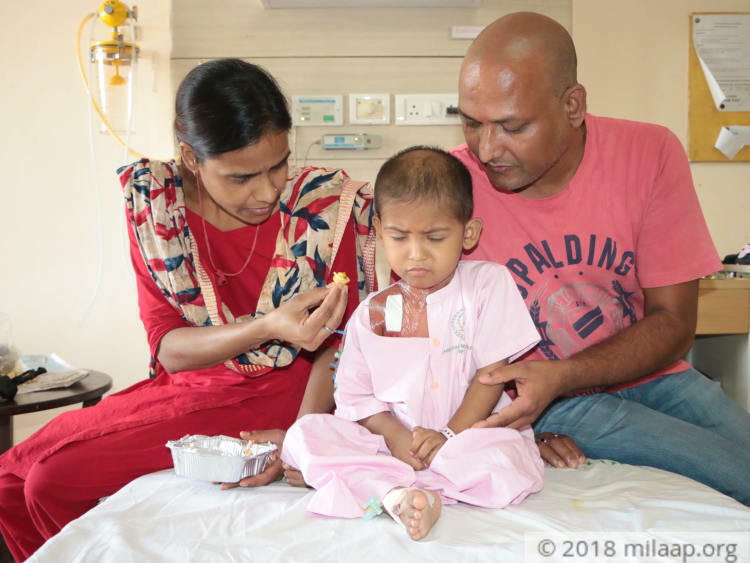 Shekhar and Pratibha are far away from their 6-year-old daughter, Amba who is in the care of her aunts in Raipur, Chhattisgarh while they are taking care of little Gowrance. 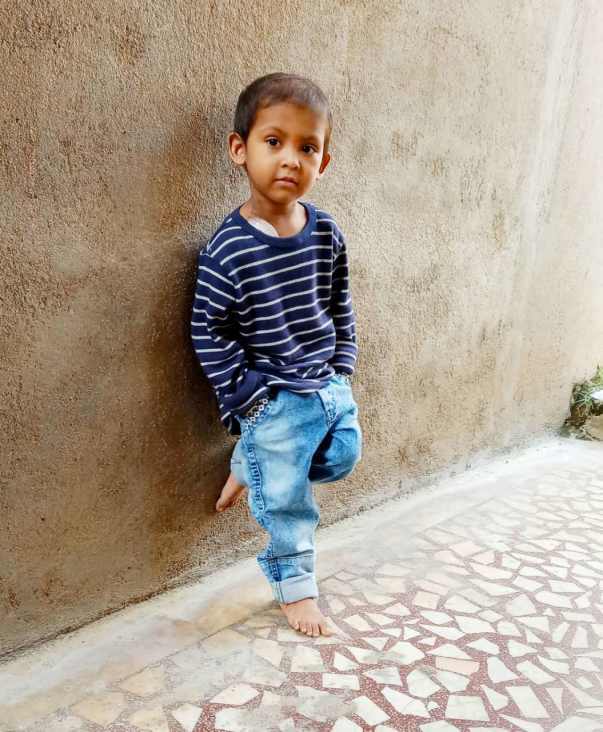 “Whenever I call home, Amba cries telling that she misses her brother and both of us. Her exams are knocking at the door and she is scared that she won’t do well because I am not there to help her with her studies. I wish I could be with her but my little son also needs me. Some nights are difficult for Gowrance - he complains of a severe stomach pain and runs a temperature. 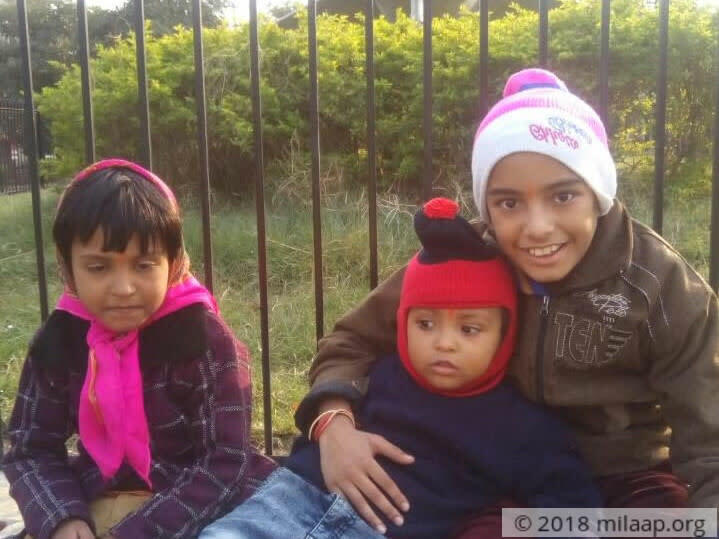 There have been so many times when I have stayed awake the entire night after putting him to sleep thinking how I can make lives any better for both my children.” - Pratibha, mother. A photographer by profession, Shekhar has been out of a permanent job for the last one year. He works as a freelancer sometimes and earns around Rs 5000-6000 on months that he has a job. He is the sole breadwinner for his family of four. “We celebrated Gowrance’s birthday this September at home. The very next day we took the train to Chennai for his chemo cycles. 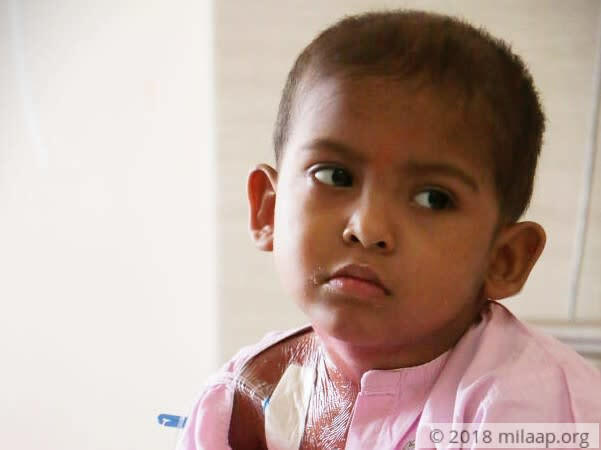 As I saw him enjoying with his friends and family, I just wished that I am able to give him the best treatment possible and cure him of his illness. I have already sold my land for 4 lakhs,borrowed from my relatives - even then I am unable to afford my son’s treatment. He has already had 3 cycles of chemotherapy and needs 2 more. It would cost us around 4 lakhs more - I don’t know how I can make arrangements for the money without help.” - Shekhar. 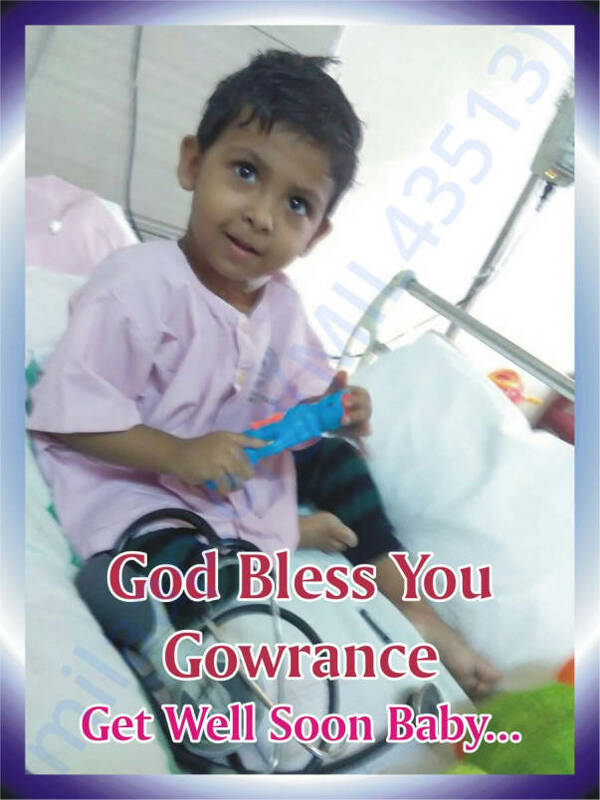 3-year-old Gowrance is battling cancer. 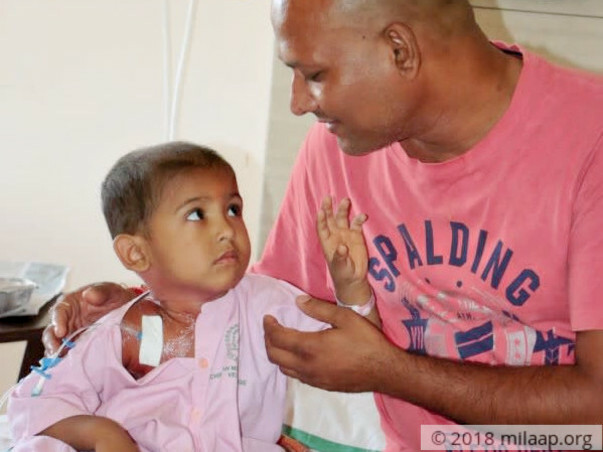 Only chemotherapy can help him get better but his family is unable to afford the life-saving treatment. Your generous contribution can make help these parents give their little baby a healthier and happier life. 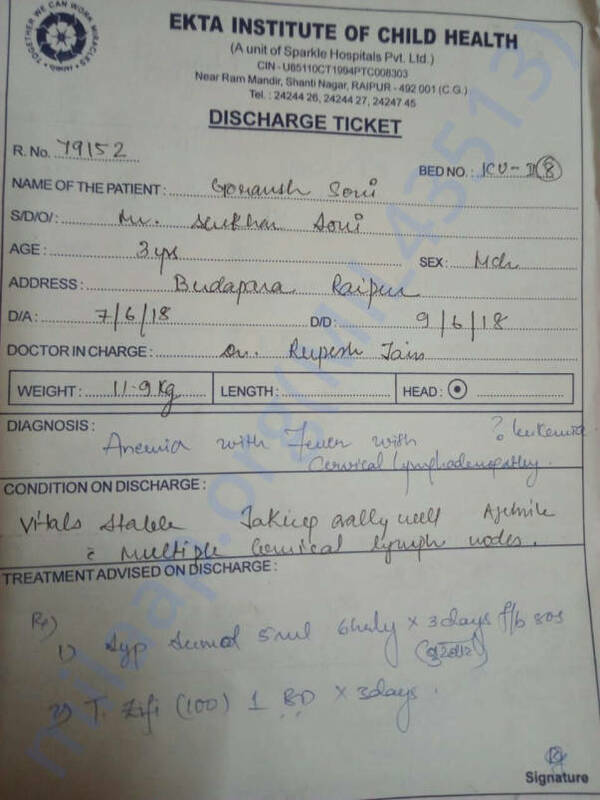 Gowrance has been receiving continuous treatment. He has been receiving medication and injections. We have taken a room on rent near the hospital and he is living there right now. The treatment will go on until three years, and if everything goes fine then he will only have to take medication. 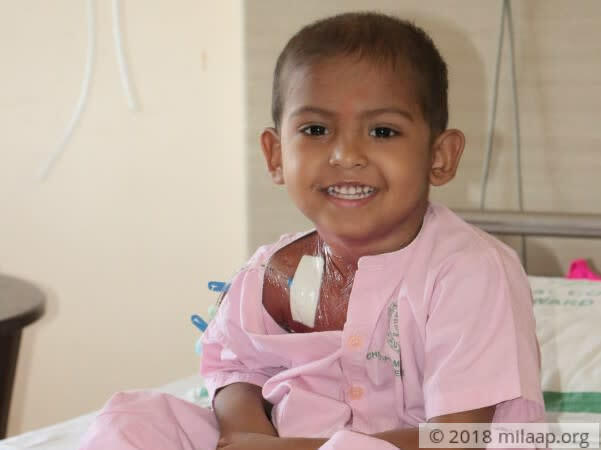 He has undergone 4 cycles of chemotherapy until now. Once cycle of chemotherapy goes on for a month and a half. I am eternally grateful to you all. You have helped Gowrance and us in a very tough time and I want to thank you for that. Please keep sharing the campaign as much as possible. Gowrance is done with his chemotherapy treatment and is doing better now. 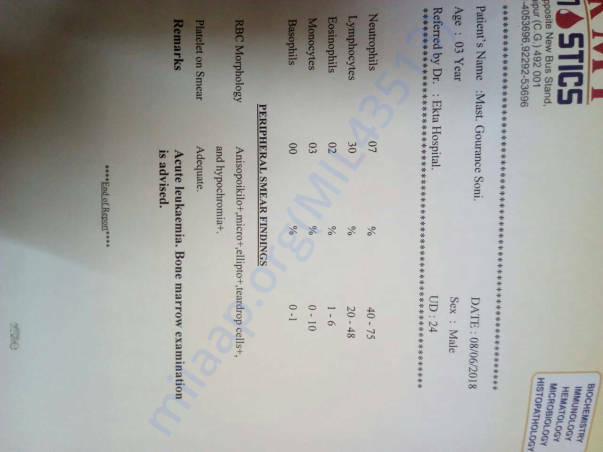 We have seen a positive change in his health. 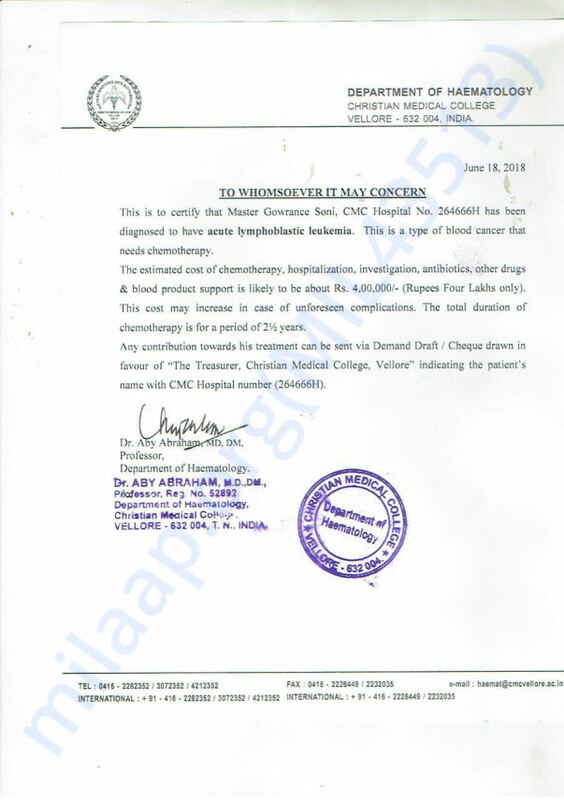 However, we need more funds in order to continue his treatment. Please keep sharing this campaign! Thank you all for your love. I am humbled by the love you have given him. Thank you for your love. He is still undergoing treatment and we're falling short of funds to provide him the medical support he needs. He looks better now and is continuing chemotherapy. Please keep supporting. Thank you! get well soon & god bless you! God Bless you dear.. i pray to god u will get well very soon. my best wishes always with you .